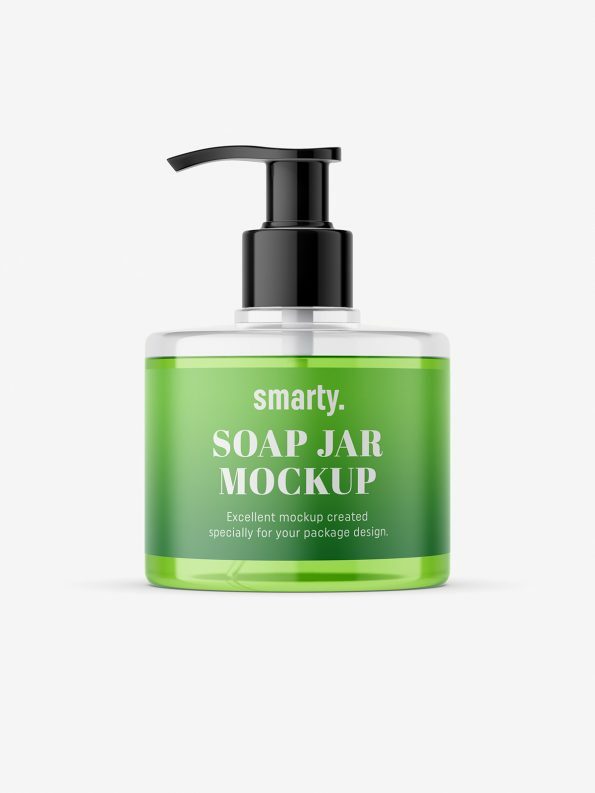 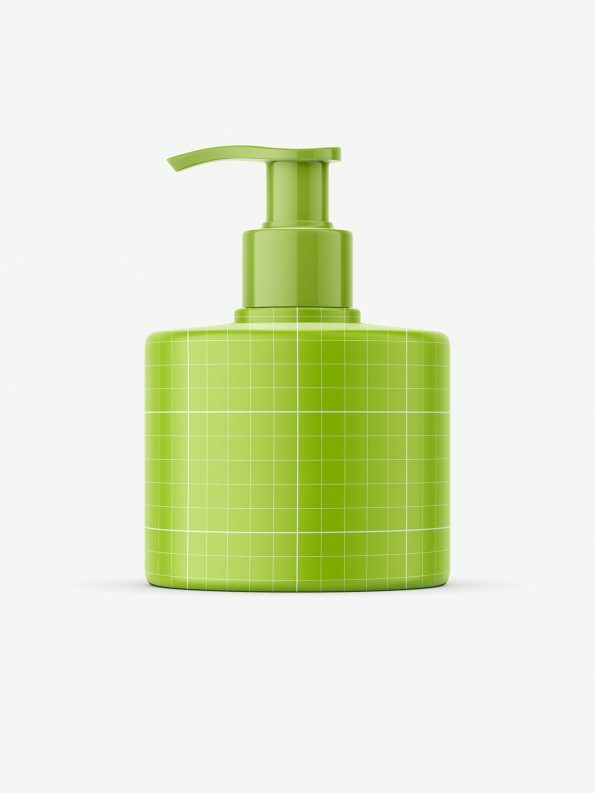 Universal soap bottle with pump mockup. 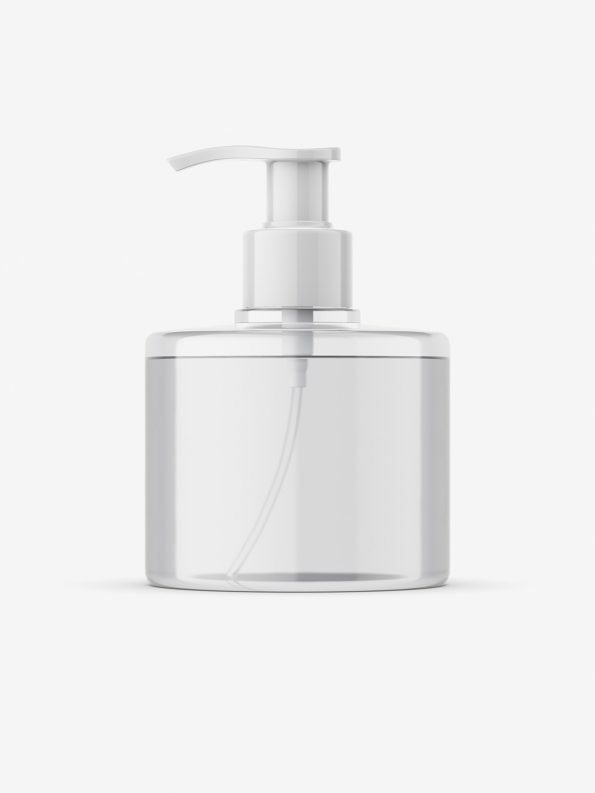 Such bottle may be used as container for gels, shampoos and others. Mockup been properly prepared, so it`s easy to change bottle and cap color.